God bless Gordon. This is my new mantra. Gordon of the Ramsey variety, not the Brown one. Following much angst, persuasion and foot stamping, I am (eventually) the proud owner of Gordon’s Ultimate Cookery Course. Since watching his programme of the same name in the autumn, and popping him straight onto my Christmas list, it has taken precisely one Christmas, one birthday and finally one Mother’s Day until the penny dropped with one of my darling offspring and the book was generously gifted. #FoodyFridays can only get better from here on in. 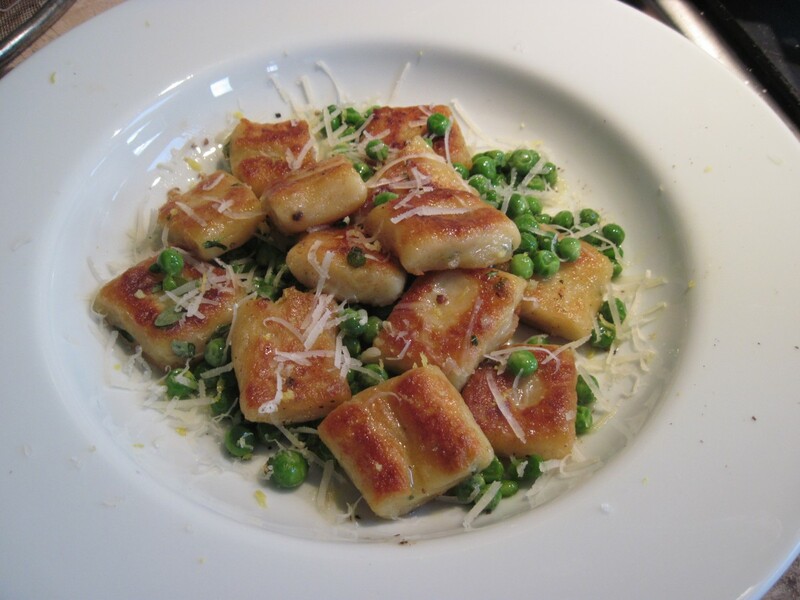 Fresh Gnocchi with Peas & Parmesan; Braised Pork Cheeks with Pomme Puree; Double chocolate Cheesecake. Technically, this should be a Waste Not Want Not recipe, due to the fact that it uses up left over potato. But I’m just a smarty pants and planned ahead for #FoodyFriday. Gordon’s recipe has been adapted to make a starter for two. Scrape the flesh from the baked potato and mash until smooth. Add the cheese, flour and a spoonful of thyme leaves, and season slightly. Make a well in the centre and add the beaten egg. Combine with floured hands until a soft dough forms. Do not overwork or the dough will become too tough. 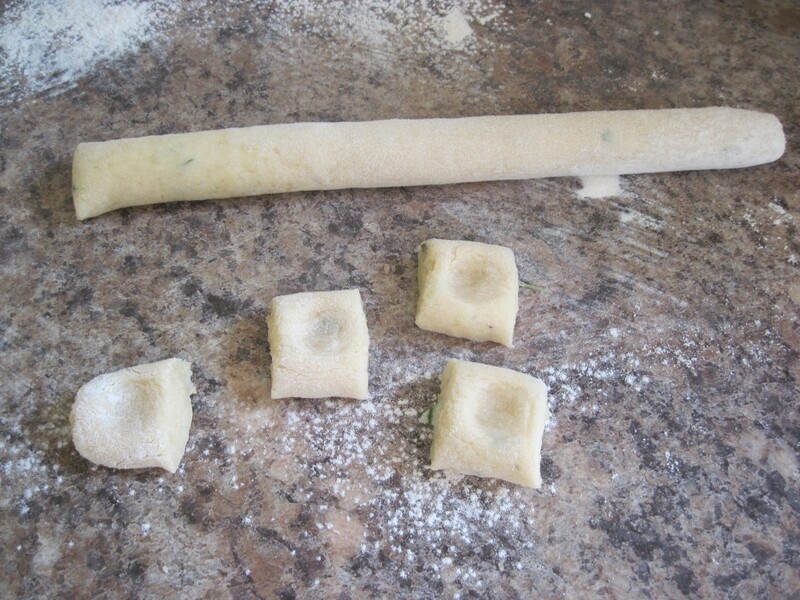 Roll the dough out into a long cylinder about 1.5 cm thick and cut into 2cm wide pieces. Gently press the centre of each one to create a dent that will fill with sauce. Bring a large saucepan of water to the boil. Add the gnocchi, stirring gently to prevent them from sticking together. Simmer for 2 minutes until they start to float to the surface. 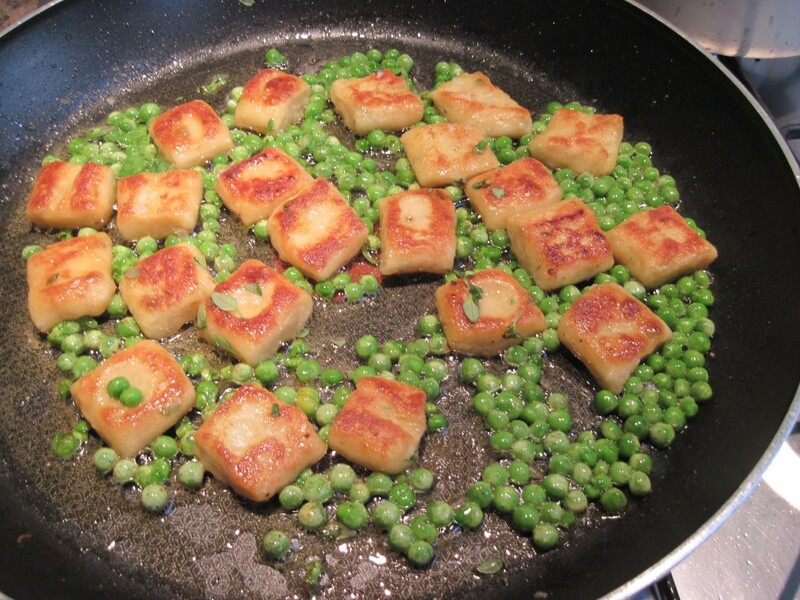 Carefully remove from the pan and allow to dry for 1-2 minutes. Heat a large frying pan over a medium-high-heat and add a good slug of olive oil. 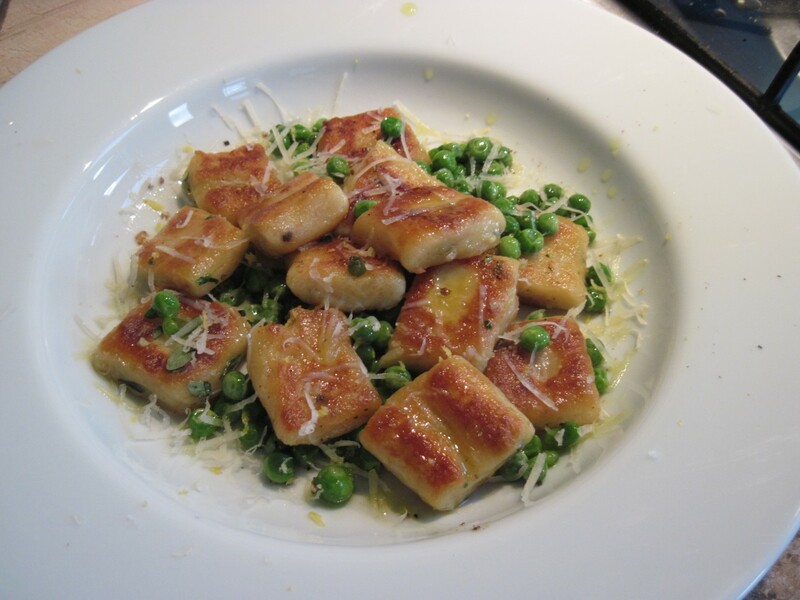 Carefully add the gnocchi – they may spit slightly – and season. Cook for approximately 2 minutes on each side, or until golden brown. Add a very large knob of butter to the pan and allow to melt. 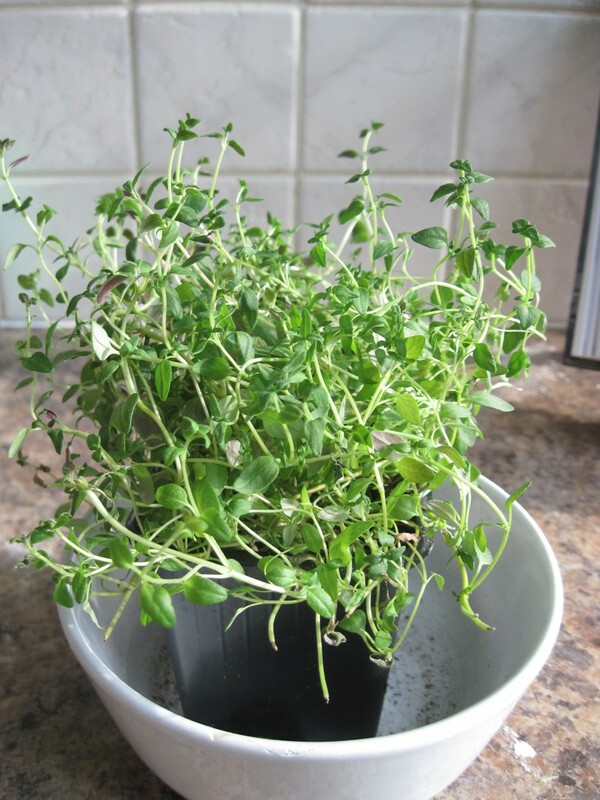 Stir through the peas and the remaining thyme. Sprinkle with lemon zest (to taste – I used about half a lemon). Transfer to warm pasta bowls, drizzle over the butter/oil from the pan and sprinkle with grated Parmesan. Serve immediately. At this stage in the game, I have to confess that John and Gregg, those darling denizens of Masterchef, would evict me toute suite, without passing Go or collecting my £200. My pomme puree was LUMPY. It even looks lumpy in the photograph. There is no getting away from it. It tasted great, and AlphaMale ( a man who is becoming expert in reading the signs of a Woman On The Edge) said it tasted delicious and he couldn’t find any lumps. But I know John and Gregg wouldn’t have stood for it and I would be on the first bus home. Anyway, the recipe for the Pork Cheeks is on #FoodyFriday February 24th. 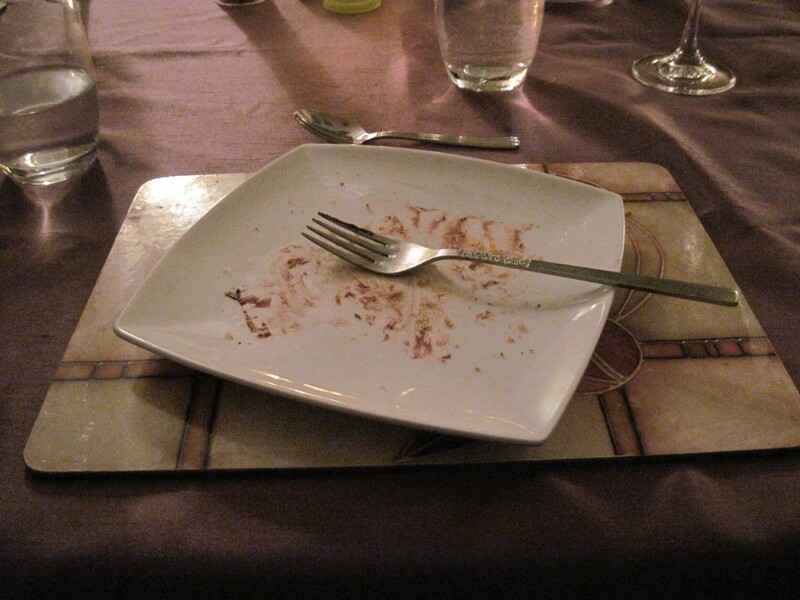 The only difference this time is the fact that I served it with caremelised apple slices and the pomme puree. And I tried to do one of those posh little smears of potato that hold the sauce inside. I’ll give you the recipe for the potatoes, but I can’t guarantee smooth results! Simmer the potatoes very slowly for 25-30 minutes until they are soft. Do not rush this process or the potatoes will take on too much water and will become soggy. Drain, then allow to air-dry for 2-3 minutes. 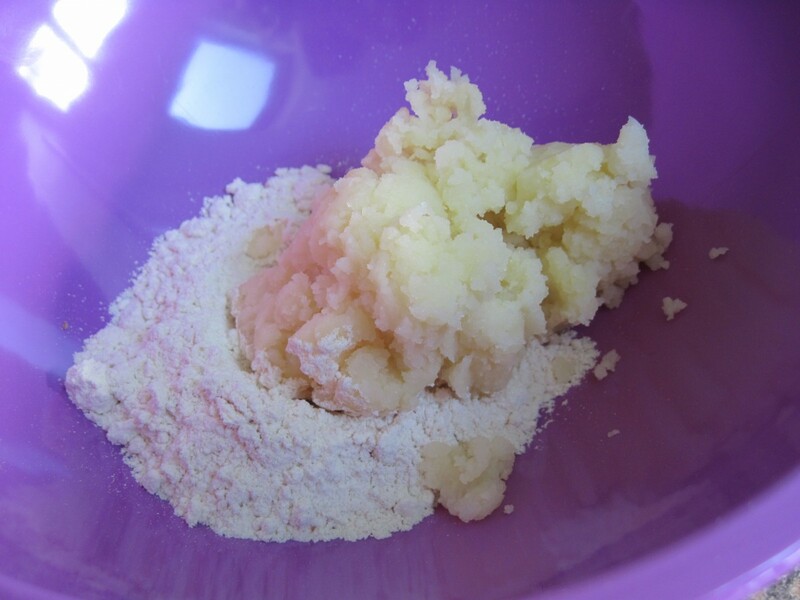 Mash really well – if you have a potato ricer, use that, it will give the best effect. I didn’t use a small enough attachment this time – next time I will use a really fine one. Add the warm milk and melted butter and mix really well. Continue to beat until really, really smooth. If the potato is too firm, add a little more milk. The finished result should be fluffy and form soft peaks. Keep the potato warm over a pan of simmering water until required. 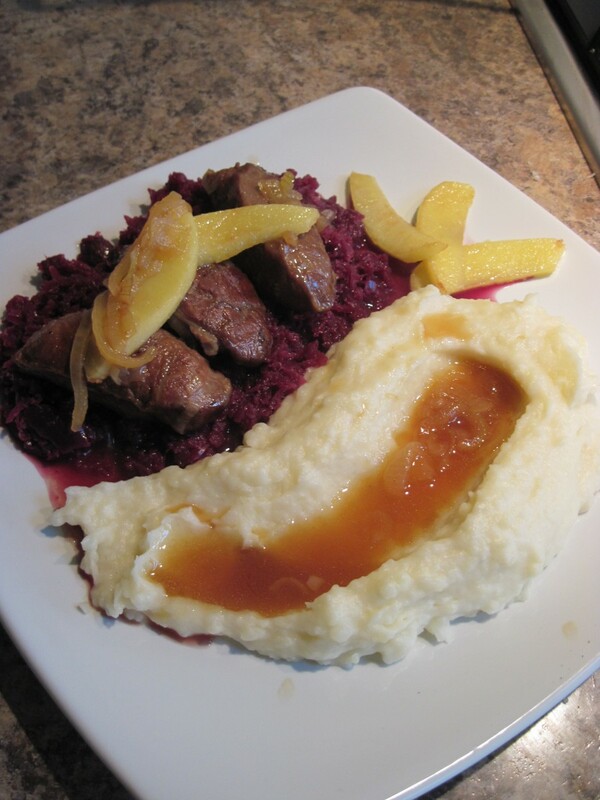 This week I served the pork cheeks on a bed of spiced red cabbage – the last of my frozen stash – alongside a swoosh of pomme puree with some of the sauce from the pork spooned inside. 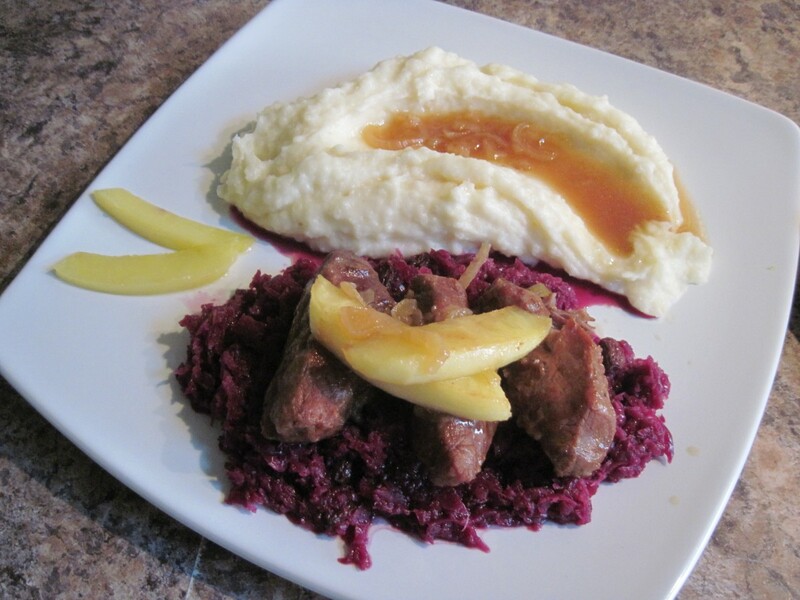 The sweet and sour cabbage cuts through the richness of the pork beautifully, and the potato is a lovely creamy accompaniment. These are not, I repeat, not for the faint-hearted. Or even the weak-hearted for that matter. There are enough calories in each one to feed a small family for a week. However, as a once-in-a-blue-moon treat, they are absolutely, unequivocally delicious. They were ever so slightly on the large side for such a rich dessert, so next time I think I will make a large one and serve slices from it. However, I am currently experimenting with miniature desserts, and we both put in a sterling effort and ate the lot. Melt the butter in a pan, and stir into the crushed biscuits. Use to line two greased chef’s rings or mini tart tins. Chill until firm. Melt the milk chocolate in a bowl over a pan of simmering water and stir until smooth. Repeat with the dark chocolate. 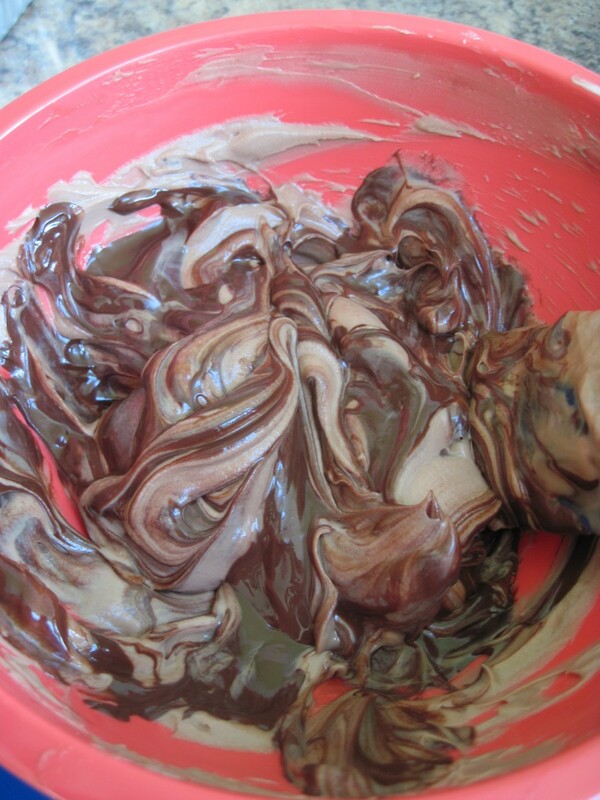 Combine the cream cheese and the mascarpone cheese in a bowl and stir in the melted milk chocolate until blended. 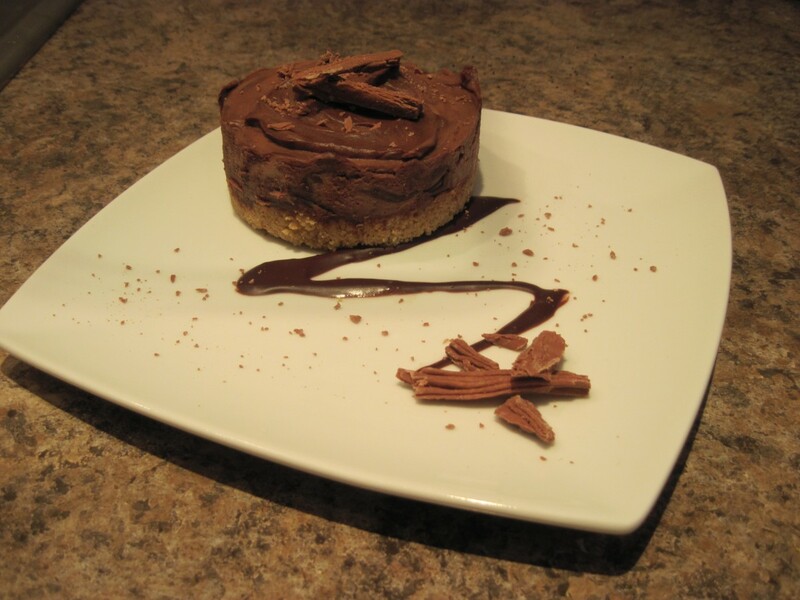 Swirl through the melted dark chocolate. Gently spoon onto the top of the biscuit bases, trying not to blend the dark chocolate in too much – you want to create a marbled effect. Chill until ready to serve. 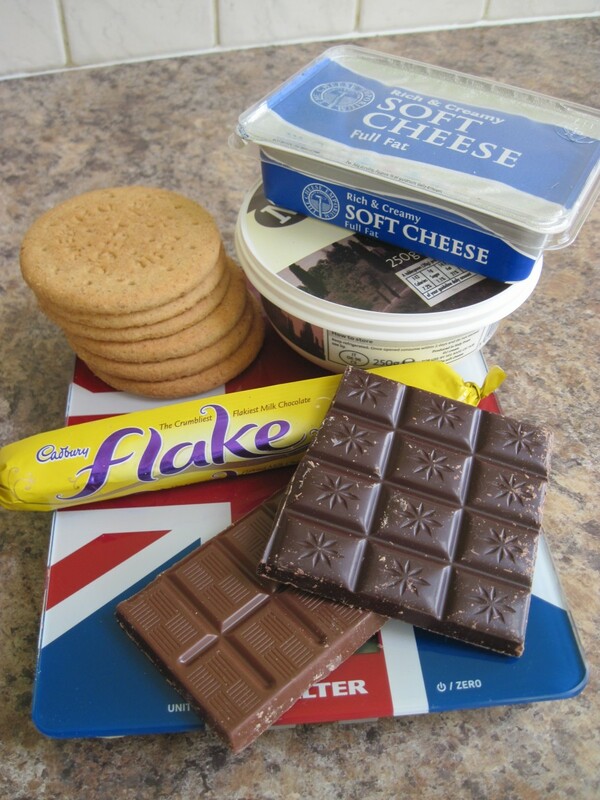 Carefully remove from the tins and decorate with slivers of broken Cadbury’s Flake. Enjoy. Lots.